As you take time this Valentine’s Day to appreciate the ones you love, don’t forget to appreciate yourself! Your heart is a powerful and important muscle, so make sure you’re taking the best care of it by also maintaining your dental health. Poor dental health can lead to poor overall health and can directly impact the heart in negative ways. February is also American Heart Month. 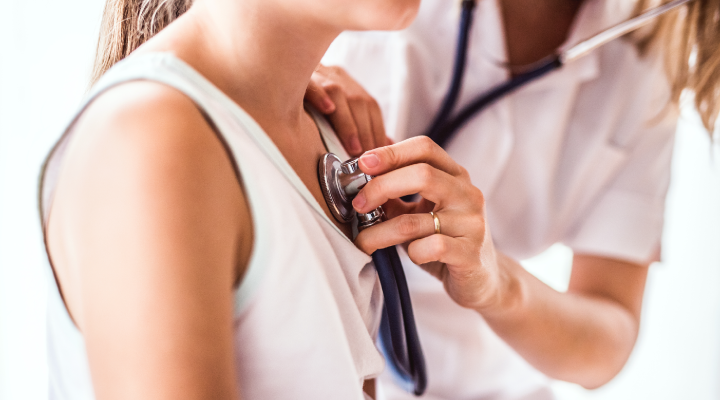 With heart disease being the leading cause of death in the United States, this is the perfect time to review the connection between gum disease and heart health. Ongoing studies have proven that there is a connection between periodontal disease and heart disease. Periodontal (gum) disease is an infection of the tissue surrounding our teeth caused by plaque buildup. If left untreated, gum disease can cause bleeding gums, chewing problems, and even tooth loss. Heart disease is a blood vessel disorder in the heart that can lead to an attack. A heart attack happens when blood flow to a part of the heart is blocked by a blood clot. If the clot stops blood flow completely, the part of the muscle supplied by the affected artery begins to die. The cause-and-effect relationship between gum disease and heart disease hasn’t been fully established. There’s enough information available, however, to prove that gum disease not only increases the risk of heart disease, it can also make current heart conditions worse. One theory suggests that bacteria in the mouth affect the heart by entering the bloodstream. People with gum disease are two to three times more likely to have a heart attack, stroke, or another cardiovascular event, so continue your dental care routine to lower your risk of being affected by either one. Brush your teeth twice a day for two minutes, paying close attention to the gum line. Floss at least once a day to help prevent gum disease. Brushing alone isn’t enough to maintain a healthy dental care routine. Flossing removes plaque and leftover food debris from between the teeth and spaces that your brush can’t reach. Visit the dentist twice a year for an exam and cleaning. Research shows that many systemic disease present with symptoms in the mouth, like swollen gums and mouth ulcers. Through normal exams and X-rays, your dentist can check for developments that might be connected to other health issues. Cut out all tobacco use from your routine. Not only is it better for your overall health, it will also improve your smile. Know your risk. Age, diet, and genetics all play a role in your risk for periodontal disease.